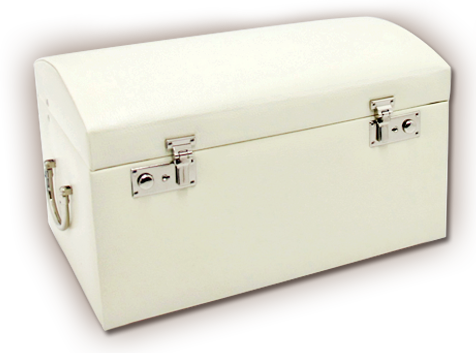 Leather Jewelry Boxes, Leather Jewelry Rolls, By Morelle & Co.
Morelle & Co. is in business for over ten years manufacturing fine leather jewelry boxes for high end retailers. Our expertise in the business and listening to our customers preferences brought us these fine products. Morelle & Co, proud producer of fine leather items, prides itself on expert craftsmanship, creative, classy designs and affordable pricing. We are known for our prompt and courteous top of the line service, Morelle targets both the corporate market and the consumer market. Morelle & Co. incorporates a classic, well-designed product with rich character, enduring quality, and eye catching color combinations. Our products make great gifts for all your loved ones. Our sassy new expandable jewelry box includes lots of hidden storage with a mini takeaway travel box. Our sassy new expandable jewelry box includes lots of hidden storage with a mini takeaway travel box. Its open top panel with mirror provides two convenient snaps.